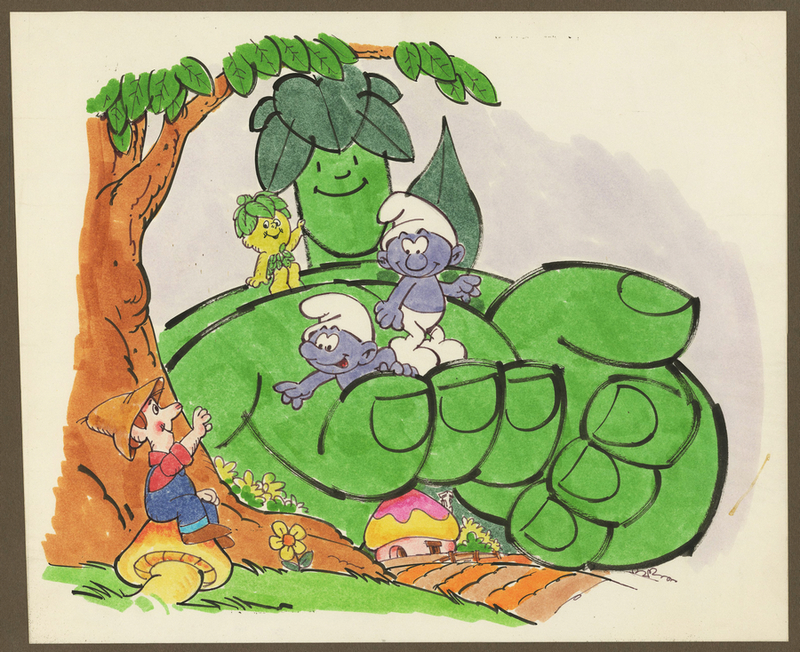 This is an original drawing created by the Hanna Barbera studios and used in a joint marketing/promotion effort with Green Giant foods. 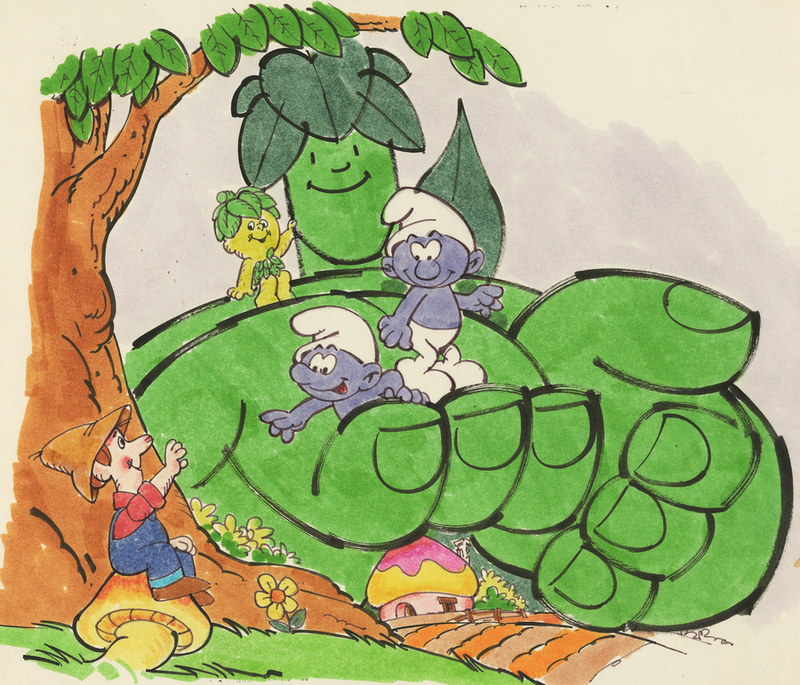 This piece is from the 1980s and features a couple smurfs, the Green Giant, Sprout,a nd what looks like a Keebler Elves farmer. The image is created with ink and markers on paper that has been maounted to mat board. The overall paper measures 12" x 15" and the image itself measures 11" x 13" and is in very good condition overall.